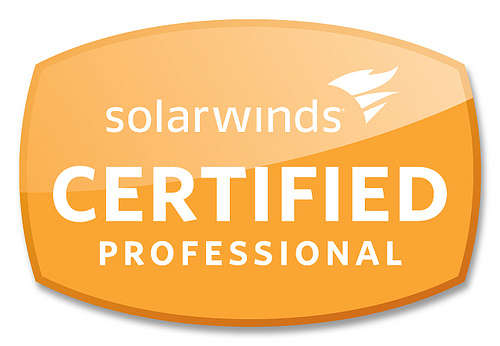 SolarWinds Certified Professional! | CCIE or Null! « What if I told you… You don’t have to reload in 5! HAHAHA You have so many acronyms Steve! Yea I’ve got a pretty decent portion of alphabet soup there, might try and collect the whole alphabet haha! I just need that magical 4 letter combination! Congrats! You did better than I did. I scored 70.1% and 70% is the passing. Hah! Thanks man! Hey a pass is a pass right! Ha, Same numbers different locations! The funny thing is if I had known the SCP was going to be numbered I would have tried it when they first opened the program and gave out free vouchers!